Why is Camra still getting beer history so very badly wrong? Excuse the indentations in my forehead, that’s where I’ve been banging my head hard against my desk. I’ve been reading the “Beer Styles” section in the just-published 2014 edition of the Good Beer Guide. Ron Pattinson gave a comprehensive triple kicking last year to the effectively identical section in the 2013 GBG, and yet this year the GBG’s claims about the history of British beer styles are still just as horribly, awfully wrong. It’s as if nothing Ron, or I, or other researchers into the history of beer have written over the past ten to 15 years or so had ever existed: a stew of errors, misinterpretations, myths, erroneous assumptions and factually baseless inventions. All of the errors, frankly, even before Ron gave them a good pounding back in 2012, were heartily demolished (apologies for the sound of my own trumpet) in my book Amber Gold and Black, published three years ago (and which sprang, as it happens, from a series of articles published in Camra’s own What’s Brewing on the history of beer styles). But since the GBG sells far more every year than AG&B has, that’s many thousands of beer lovers being fed gross inaccuracies about the history of the beers they drink, and only a few thousand getting the truth. Pale and stock ales advertised as on sale at the Rising Sun, Enfield circa 1900: you won’t find stock ales in many style guides, but they were aged versions of the drink otherwise sold “mild”, in other words, “old ales”. What exactly is the Campaign for Real Ale Good Beer Guide getting wrong? Let’s begin with its insistence that “pale ale” and “bitter” are different products, which leads to the nonsensical statement (p29, last paragraph) that “From the early years of the 20th century, Bitter began to overtake pale ale in popularity, and as a result pale ale became mainly a bottled product.” This is completely wrong, and a total misunderstanding, as I pointed out back in 2007 here. From the moment that bitter beers started to become popular in Britain, around the beginning of the 1840s, “bitter beer” and “pale ale” were used by brewers and commentators as synonyms. There never was any difference between the two. Why did “pale ale” come to be appended as a name mostly to the bottled version of bitter? Because generally in the 19th century brewers called the drink in the brewery “pale ale”, and that’s the name they put on their bottle labels, but in the pub drinkers called this new drink “bitter”, to differentiate it from the older, sweeter, but still (then) pale mild ales. The section also claims that pale ale was invented because IPA was “considered too bitter for the domestic market” – total made-up rubbish, there is no evidence anywhere for this, and if IPA was “too bitter for the domestic market”, why did so many brewers advertise an IPA as part of their line-up? The weaker pale ales, below IPAs in brewers’ price lists, simply reflected 19th century brewers’ practice of selling two, three or four examples of each beer type, ale (that is, old-fashioned lightly hopped ale), porter/stout and the newer bitter/pale ale, at different “price points” (to use a modern expression) for different budgets. 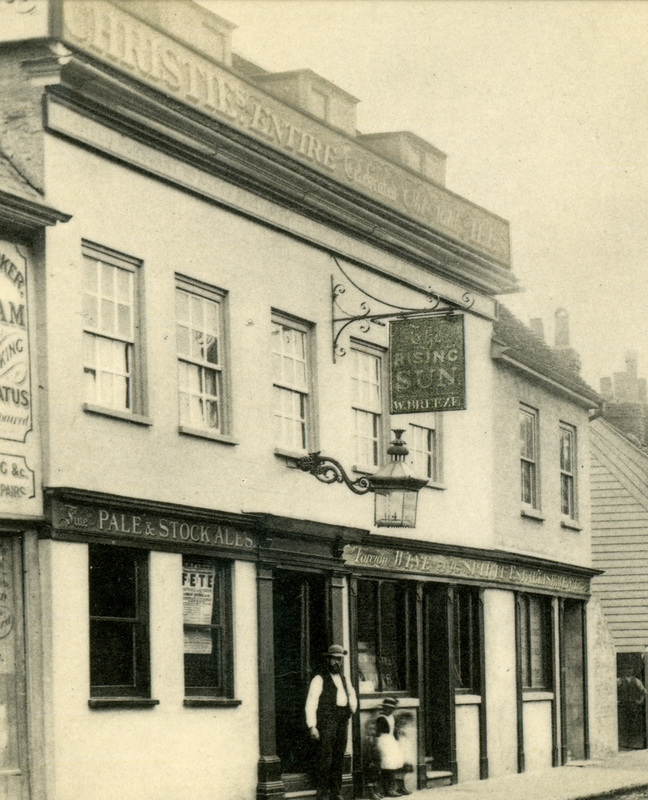 Thus, for example, the Aylesbury Brewery Company in 1899 sold four grades of pale ale, BA (for Bitter Ale), at the IPA “price point” of one shilling and sixpence a gallon (almost all “IPAs” sold at 1s 6d), BA No 2 at 1s 2d a gallon, BPA at one shilling a gallon and AK at 10 pence a gallon; four grades of mild ales, from XXXX at 1s 6d to XA at 10d; and three black beers, from Double Stout at 1s 6d to Porter at 1s. Shepherd Neame two years earlier was calling all its four grades of bitter beers “India Pale Ale”, from “Stock KK India Pale Ale” at 1s 8d a gallon through East India Pale Ales Nos 1 and 2 at 1s 4d and 1s a gallon to East India Pale Ale AK (sic) at 11d a gallon. That brings us to the section on IPA itself. There’s the usual canard about the original IPAs being “strong in alcohol” to survive the journey east, although as Ron P has shown conclusively, at around 6 to 6.5 per cent alcohol by volume, 19th century IPAs were in the middle of the contemporary strength range, and weaker than 19th century milds. 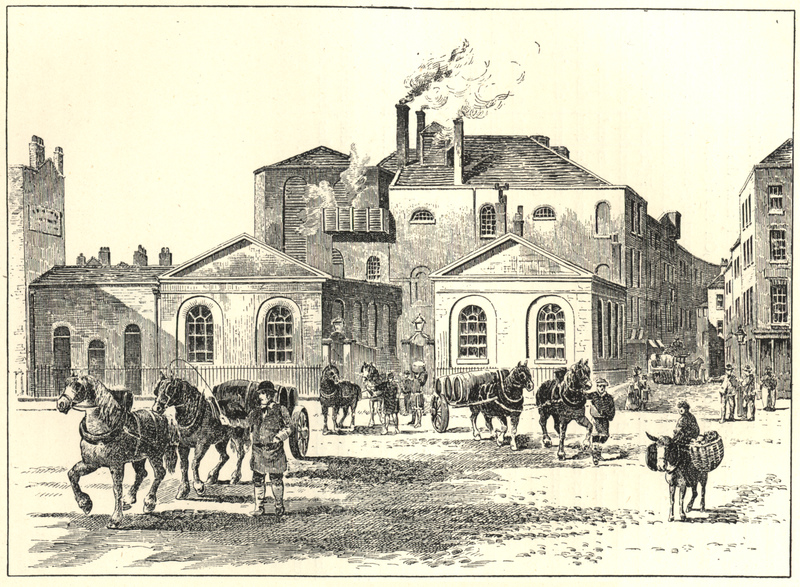 The GBG also asserts that India Pale Ale “changed the face of brewing in the 19th century”, and “the new technologies of the Industrial Revolution enabled brewers to use pale malts to fashion beers that were pale bronze in colour.” Wrong again – for a start, pale ale was around from at least the second half of the 17th century, a good hundred years before the Industrial Revolution began, as I showed in 2009. Second, almost ALL beers called “ale” in the 18th and 19th century were made from pale malt, as Ron Pattinson has comprehensively demonstrated with extracts from actual brewers’ records, which led eventually to “ale” meaning any malt liquor pale in colour, with “beer” restricted to the dark kinds, stout and porter, something I wrote about here. So in appearance, IPA wasn’t new at all. What it was, was the first bitter, well-hopped pale ale, as opposed to older sorts of pale ale that, following the style of malt liquors in Britain of the post-1710s “ale” type, were hopped (unlike the original unhopped ales) but less-hopped than “beers” such as porter and stout, and which were sold either “mild” (fresh) or “old” (aged). 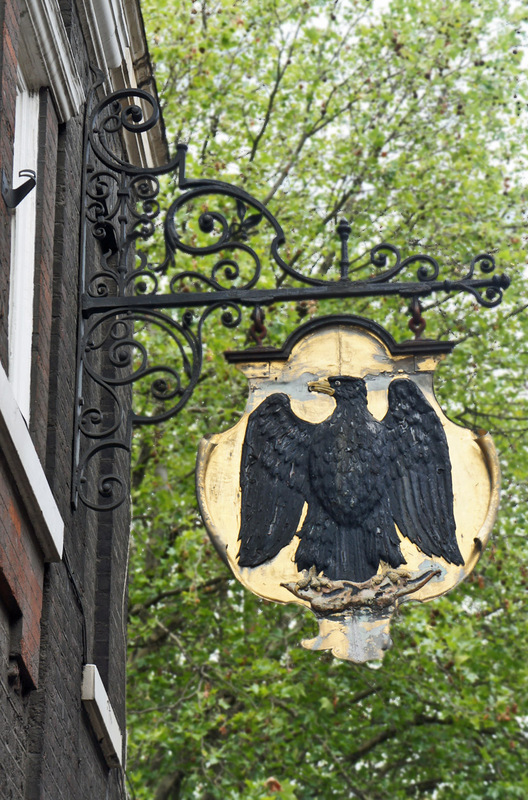 The huge sign on the outside of the building on the corner of Hanbury Street and Brick Lane is clear enough: Truman Black Eagle Brewery. Nobody passing by could have any doubt what used to happen here, even though no beer brewing has taken place on the premises for more than 20 years. But what few people know is that for a couple of decades in the middle of the 19th century, this was the biggest brewery in the world. Today Brick Lane, Spitalfields, in the East End of London is bustling and cosmopolitan, the heart of what is sometimes called “Banglatown”. For hundreds of years Spitalfields – filled with cheap housing, in large part because it was to the east of the City, so that the prevailing westerly winds dump all the soot from the West End over it – has been a place where poor immigrants to England come to try to scrabble a living, generally in trades connected with making clothes: Huguenot silk weavers from France fleeing Catholic oppression, Irish linen weavers fleeing unemployment in Ireland, Jewish refugees fleeing pogroms in Russia, Bangladeshis fleeing poverty, all adding their tales to a place crowded with both people and history. But it wasn’t always thus: the author Daniel Defoe, who was born in 1660, remembered Brick Lane from his childhood in the early years of the Restoration as “a deep, dirty road frequented chiefly by carts fetching bricks into Whitechapel”. If a 21st century time tripper stepped through the door into the public bar of a London pub in 1900, what would be the biggest surprise? Probably not the sawdust on the floor, or the lack of seating: most likely, I’d guess, the draught ginger beer on handpump. The existence – and importance – of draught ginger beer in London pubs in the past is one of those uncountable little details of social history that slip past generally unrecorded because they seem so everyday and ordinary to contemporary observers, nobody bothers writing about them. Today’s equivalent would be the bar gun – ubiquitous, observed by everybody who has ever stood at a bar to be served, and mentioned, I’ll bet, in no account of the modern pub, anywhere. Fortunately, back in the summer of Queen Victoria’s last full year on the throne, one anonymous worker in the brewing industry spotted a reference in the Daily Express to “half-and-half” as a beer mixture, a term not then used for several decades (it referred, in the early years of Victoria’s reign and before, to ale-and-porter), seized the nearest available umbrage at this anachronistic solecism and ran with it for 1,300 words of invaluable exposition on the drinks available from the pumps in a public bar in London, and how they were mixed together, which the Express printed for the education of future generations on page seven of its issue of Thursday August 2, 1900. And hurrah, digitisation and the web means that for a small subscription, 111 years later we can read about what beer mixtures our great-grandfathers drank without having to travel out to the British Newspaper Library in deepest Colindale and whirr through miles of microfilm. It’s an absolutely fascinating piece, studded with gems – who knew (not me), for example, that in a London “boiled beef house” (a restaurant specialising in serving “a most delicious ‘portion’ of stewed beef done up in a sticky, coagulated, glutinous gravy of surpassing richness”, Google reveals), the accompanying drink of choice was porter? Slow-stewed beef and porter: I’m channelling Harry Champion just thinking about it. Please contact me if you’re now planning this as a FABPOW, I’ll be over to try it out. 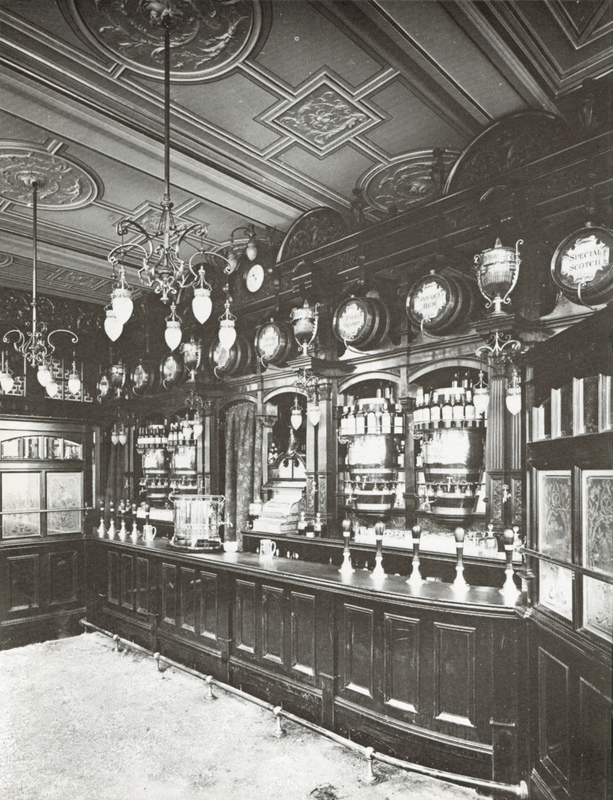 It also confirms information from other sources, such as the availability of draught lager in at least some outlets in Victorian Britain, the identification of “ale” and “mild” as the same drink, and the higher status given to bitter, compared to ale and porter.